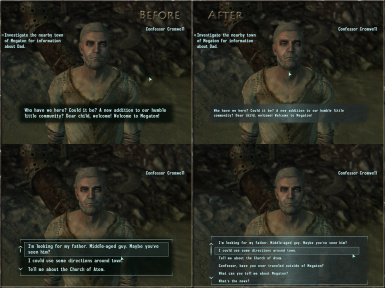 Essential UI adjustments for Fallout 3: smaller fonts, larger item selection areas, improved conversation menus, etc. 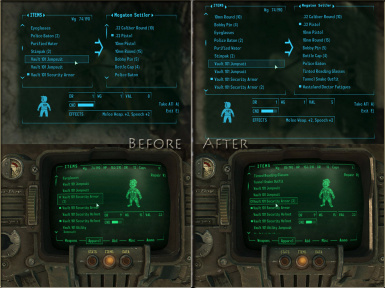 Designed for screen resolutions of 1024x768 and higher. 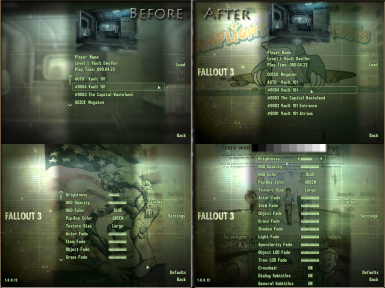 Extract the archive into your Fallout 3 folder (default C:\Program Files \Bethesda Softworks\Fallout 3). 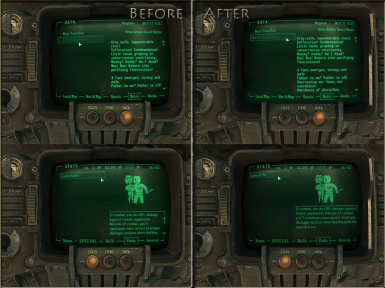 Open FALLOUT.INI (default ...\My Documents\My Games\Fallout3\FALLOUT.INI) with any text editor and change the value of bInvalidateOlderFiles from 0 to 1 (i.e., bInvalidateOlderFiles=1).